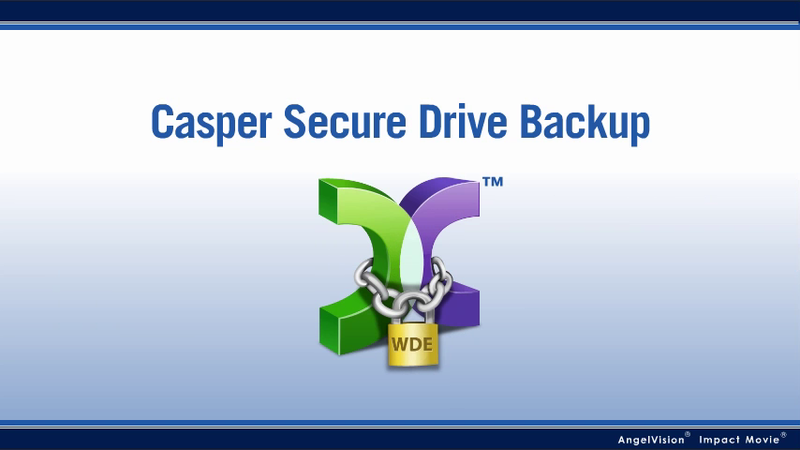 Casper Secure Tech Edition is the only disk imaging and cloning solution engineered specifically for IT technicians needing to upgrade, replace, back up, restore and re-image drives and hardware RAID arrays encrypted with Windows™ BitLocker™ or Symantec™ (PGP™) Drive Encryption. Casper Secure Tech Edition quickly clones all popular Windows configurations, making short work of hard disk upgrades and replacements on encrypted servers, desktops, and laptops. Quickly duplicates an encrypted drive to another without requiring a laborious and time consuming backup, restore and re-encrypt process. Casper Secure Tech Edition provides complete support for creating, maintaining, and restoring disk image file backups for encrypted drives. Directly captures and stores the encrypted image of an encrypted drive, eliminating any need to decrypt the drive prior to imaging or separately encrypt the backup. Restores all data in its original encrypted state, eliminating any need to separately re-encrypt the restored drive or expose sensitive data by restoring to an unencrypted state. Image files created in industry standard Microsoft Virtual Hard Disk (VHD/VHDX) format. Exclusive SmartClone™ technology safely eliminates the redundant transfer of data during the imaging process, saving you valuable time by dramatically reducing the time required to update a full disk image, restore a disk image, or re-image an encrypted Windows system. Casper Secure Tech Edition is uniquely designed to run directly from a USB flash drive or CD without installing any software, which means you can upgrade, replace, back up, restore, and re-image a Windows system without making any modifications to the system. AccuClone™ disk imaging technology ensures a perfect image whether running natively from within Windows or from the Casper Secure Tech Edition customized boot environment. Casper Secure creates a complete image of an encrypted Windows system disk without ever putting data at risk. Keeps all data in its original encrypted state before, during, and after the disk imaging process, ensuring 100% compliance with existing data security directives. Eliminates the arduous and lengthy decryption and re-encryption steps required with other disk imaging and cloning solutions, saving hours of valuable time. Supports Symantec (PGP) Drive Encryption and Windows BitLocker Drive Encryption. Ensures 100% compliance with existing data security directives by keeping all data in its original encrypted state before, during, and after the disk imaging process. Saves hours of valuable time by eliminating the arduous and lengthy decryption and re-encryption steps required with other disk imaging and cloning solutions. Designed from the ground up to work with Symantec (PGP) Drive Encryption and Windows BitLocker Drive Encryption. Casper Secure Tech Edition completely eliminates the security and compliance risks associated with other disk imaging and cloning software which can only produce unencrypted copies of an encrypted drive. Data is never placed in an unprotected state, ensuring sensitive data is always 100% compliant with enterprise-wide security directives and HIPAA requirements. Since all data is maintained in its original encrypted state, there are no new passwords to manage, and more importantly, there are no new security protocols or encryption technologies to vet. 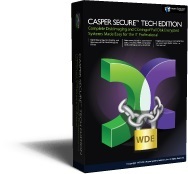 Casper Secure Tech Edition eliminates the time-consuming decryption and re-encryption steps required of other disk cloning and imaging solutions. Upgrading an encrypted system drive to a larger or faster drive can be done in 1-2 hours rather than the 10 or more hours that other imaging solutions typically require. Re-imaging a system disk from a Casper Secure image file can be done in less than an hour rather than the customary 10 or more hours when using a different imaging solution. 03:14 What can Casper Secure do for you? What can Casper Secure do for you?